Last year, I LET YOU GO made it into my top ten reads of 2016. Mostly because it was beyond bananapants. 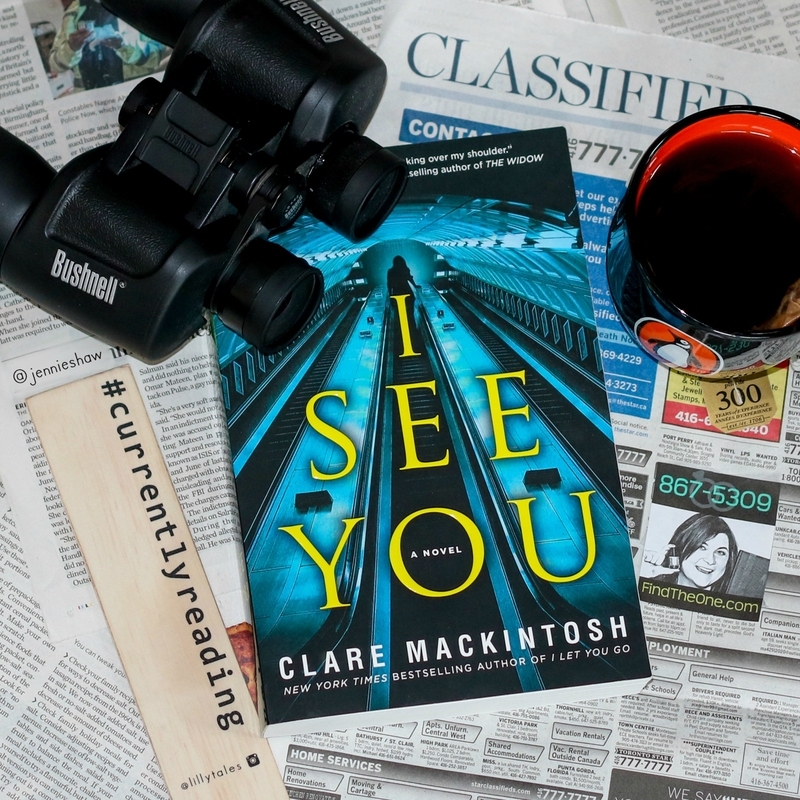 So when Clare Mackintosh released a new novel, I SEE YOU, I booted it to the bookstore and then read it in two sittings because OMG amazing. I read a lot of thrillers. In fact, I'd argue that it's my favourite genre. As such, when I read one, I'm always on the lookout for the guilty party. Oooo, that guy from chapter two loved skateboarding, and now a small wheel was found at the scene of the crime--it must be him! Why would an author spend so much time focusing on hot air balloons in the distance, unless it means that the killer uses one to drop cement bricks on her targets?! THAT MUST BE IT. The reason I've become a super fan of Clare Mackintosh is because my guesses are never even almost right. So in the off chance that a reviewer whines about the plot being "predictable" because they "totally saw it coming," that person should check their pants for flames. Sure, I may have deduced one small piece of the puzzle, but then there were seven consecutive twists and I was gasping like a guppy outside its tank. 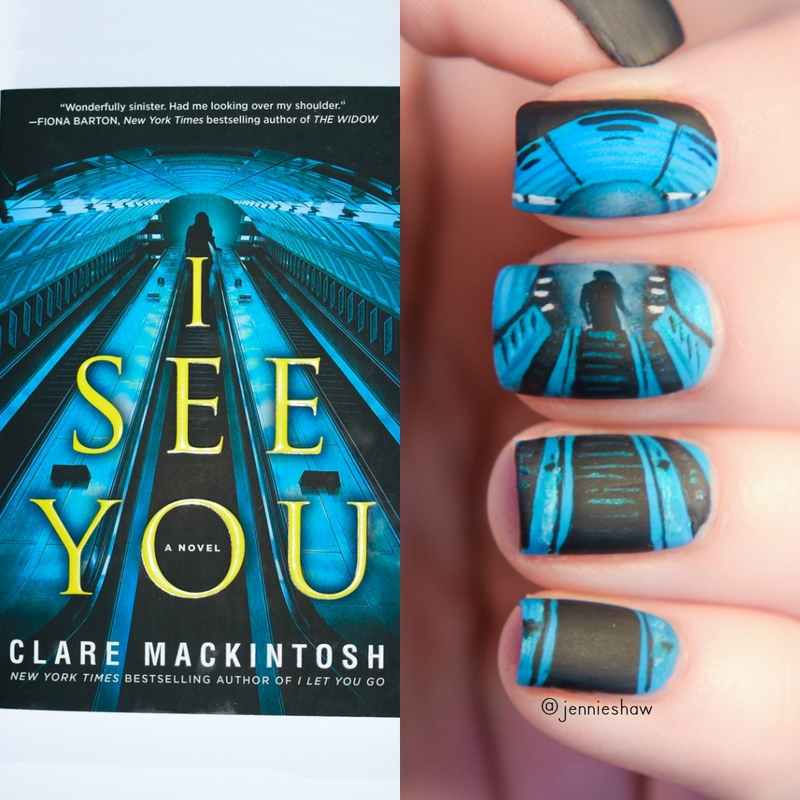 So this is why my review of I SEE YOU will be short. Mackintosh does a fantabulous job of misleading readers and I'm not about to spoil it for you. 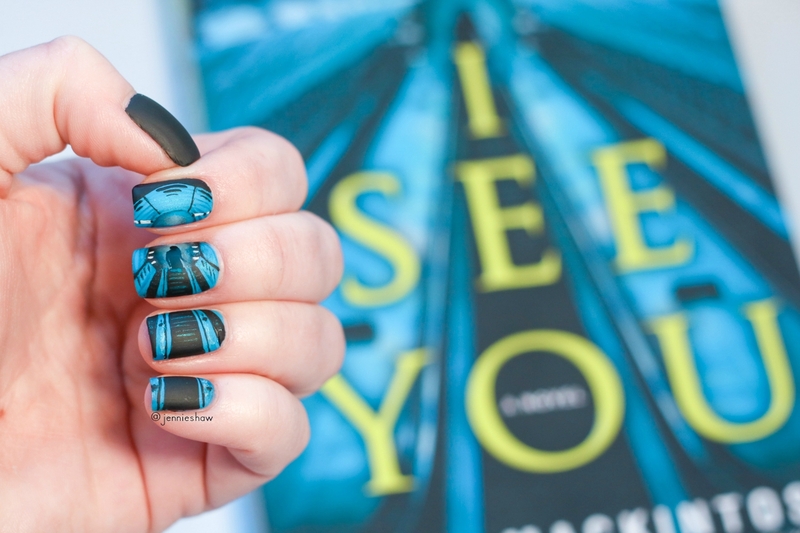 But I will say this: I SEE YOU is hella freaky. The concept--that somebody can be watching you without you knowing--is enough to make me carry pepper spray in my purse and use it on anybody who comes within three feet of my personal space bubble. Because really, in this day and age, it's a distinct possibility. Humans are creatures of habit. It gives us a feeling of order. But our routines make us vulnerable, and in the case of I SEE YOU, our predictability can lead to our demise. Why is Clare Mackintosh making everyday activities so terrifying?! 😱 Because it makes for amazing reading, that's why. In addition to her crazy plots, Mackintosh's writing is rich, strong, and elegant, and the characters she creates could be people who live next door. Which is precisely why her books freak me out. Haha! If you like thrillers, suspense, or mysteries, you must read I SEE YOU. Also, you need to read I LET YOU GO. They're both standalones, so you can read this one first, but make sure you read them. Gorgeous! Totally amazed you got the figure on the escalator onto one single nail. Awesome job. Oh YAY! I'm the same way with books (and shows! )- I can't help my brain trying to puzzle it out, constantly. So I'm always on the hunt for authors who can write a good mystery that surprises me. After your review of her other book, I put it on my wishlist, so this one ALSO goes on it. Thank you!